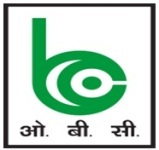 Oriental Bank of Commerce is one of the public sector banks in India which is nationalized in the year 1980. After the nationalization the bank grown to the position of seventh largest Public Sector Bank in India. The main priority of this bank is to develop the rural economy by providing better banking service to interior parts of the country. To maintain this rural development process it established an organisational set up 'Oriental Bank Rural Development Trust' (OBCRDT), which is funded and organised by Oriental Bank. This trust is running 5 Rural Self Employment Training Institutes of its own in four different states. This training institute issued a recruitment notification that mentioning the vacant positions in various discipline on contract basis. Interested candidates who are academically eligible for this vacancy can apply in an appropriate format. Applicants must possess post graduate MA/M.Com/M.Sc or M.Sw degree for the post of faculty and under graduate degree in the same courses for the office assistant post. Others who are applying for the attender vacancy a pass in 10th standard is eligible. The faculty post get as monthly salary of Rs.20000/- and Rs.8000/- for the post of Office Assistant and the attender post gets Rs.5000/- per month until the contract expire. Candidates who possess above mentioned education qualification can send their biodata with affixed photo on it, along with the attested copies of all relevant certificates. Send this in an envelope by super scribing over it as "Application for the Post of _____" and send it to the address of the training centers which is relevant to your region.